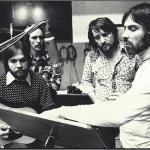 Left: Glyn Johns. Photograph by Julia Wick. Right: Sound Man. The first thing someone would notice about Glyn Johns is that he is funny. The legendary producer (and now author) puts that good humor to good use in his new memoir Sound Man, a book rife with extraordinary anecdotes about his time working with bands like The Who, The Beatles, and Eric Clapton in the 1960s and ‘70s. On bookshelves now, Johns will be signing copies at High Fidelity on November 16 and participating in a Q&A at the Grammy Museum on November 17. Born just outside of London in 1942, Johns came of age at the dawn of rock and roll. He fell in love with music early on and hoped to become a singer, but a chance connection through his sister changed his career path: Johns landed a job as a sound engineer trainee at IBC studios, and suddenly he found himself engineering albums. After getting a few finished products under his belt, he landed his first break as a producer (a jump that is common now but was not back then) for the Steve Miller Band’s debut release in 1968. He went on to engineer or produce iconic recordings by The Rolling Stones, Led Zeppelin, Eagles, Bob Dylan, Linda Ronstadt, the Clash, and too many more to list here. 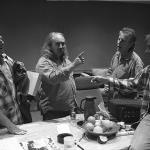 Stills, Crosby, Nash, and Glyn. Photograph by Henry Dlitz. Recording White Mansions at Olympic. Photograph by Ethan Russell. Thankfully, he did do it. What’s more, the detail with which he recounts his life’s work is incredible, and like many professional memoirists, he utilized several of the diaries he kept from 1962 to about 1982 to help him stay truthful. “I shocked myself when I dug the diaries out and thought, God, how the hell did I survive this?” he says. Not only did he survive, but he went on to experience milestone after career milestone—so many, in fact, that he found it hard to pick just one watershed moment. Instead, he named four projects that awed him: “All Day and All of the Night” by the Kinks, “My Generation” and “Won’t Get Fooled Again” by the Who, and the first Led Zeppelin album. “I think ‘wow’ is a bit of an understatement for the first Led Zeppelin album,” he says. While Johns is anxious as ever to get back in the studio and do more work, the evolution of the music industry has him feeling wary. “I still love making records, but what happens to them afterwards really isn’t something I want to have anything to do with,” he says. That being said, he is very excited about a few forthcoming projects, but he’s not at liberty to divulge whom else is involved. Considering Johns’ track record, we’ll definitely be keeping an ear to the ground. 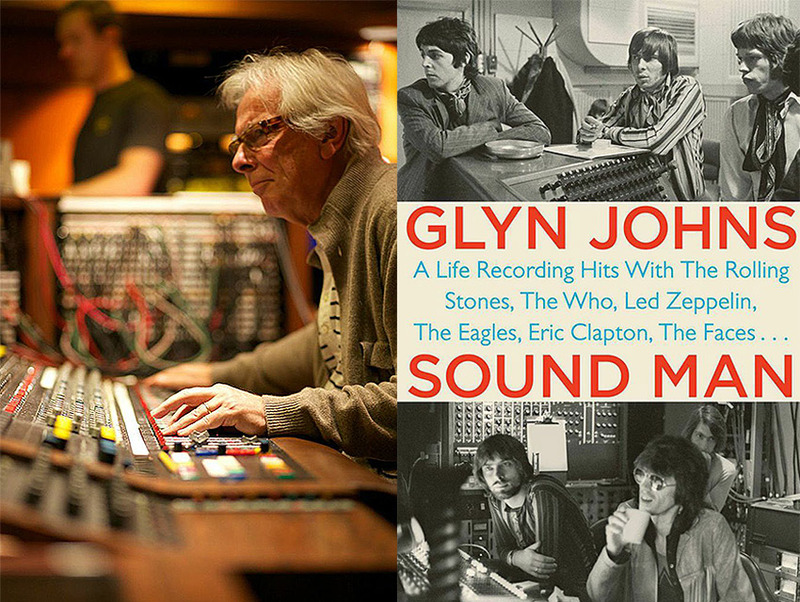 Glyn Johns will be signing copies of Sound Man at High Fidelity on November 16 and will hold a Q&A session at the Grammy Museum on November 17. Previous article8 Things to Do This Weekend in L.A.